My stories are featured in several anthologies. An excerpt from Flesh Seekers is included in this anthology with over thirty-two of your favorite female authors! Best of all, it is FREE! With over 325,000 words and featuring some of Amazon’s Best Selling female authors of horror, this is certainly not your typical anthology book. Sit back as your favorite authors of zombie lit take you on a wild, horrifying ride that will leave you breathless with their own unique versions of the zombie apocalypse. 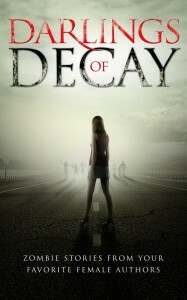 Meet the Darlings of Decay and visit our Facebook Darlings of Decay Fan Page. 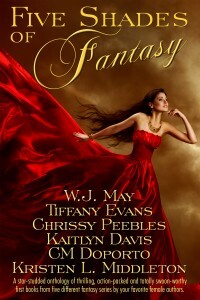 Element, Part 1 of The Natalie Vega Saga is being featured in an anthology called, Five Shades of Fantasy. This star-studded anthology consists of five bestselling novels by five bestselling authors with a bonus excerpt. Five complete action-packed and totally swoon-worthy novels each with a different genre in the fantasy and romance you love the most. Meet the women behind Five Shades of Fantasy and visit our Facebook page at Five Shades of Fantasy Fan Page.